This entry was posted in God, Human Rights, Judaism, Peace, Pesach, Poetry, Prayer, Spirituality on April 18, 2016 by Rabbi Brant Rosen. Why is this night different from all other nights? I know – wrong holiday. Bear with me. Why is the Day of Atonement different from all other nights? Tonight is the only time we ask permission to pray with other wrongdoers. When actively atoning, we easily acknowledge our wrongdoings. Each of us has transgressed. Today is the most obvious day to pray with transgressors. So why ask permission? Acknowledging our capacity to inflict harm could render us speechless, unable to continue repenting. Giving ourselves permission, having God grant us permission, gives us the courage to confront our failing selves. Is not confronting the self the goal of Yom Kippur? In our Tzedek community, we face two major obstacles to achieving this goal. The first is feeling we have little merit. A few months ago, my friend Kelvin and I came to an intersection while walking. A car was coming, but there was a stop sign, so I stepped into the intersection, and Kelvin followed hesitantly. After we crossed, Kelvin confessed that, as a Black man, he cannot assume cars will stop for him even at a stop sign. I acknowledged my white privilege and thanked Kelvin for alerting me to this instance of it, of which I was previously unaware. Kelvin thanked me for being aware of my privilege. From this interaction, Kelvin gained an ally; I gained guilt. How could I, someone actively engaged in antiracist work, be so oblivious to this white privilege? But my awareness of my privilege was enough for Kelvin that day. Our sense of immense guilt over our sins, collective and individual, could paralyze us. How do we move forward with teshuvah when the task is so great? The other major obstacle we face is potential denial. We created our core values of a Judaism beyond borders, a Judaism of solidarity, a Judaism of nonviolence, a Judaism of spiritual freedom, a Judaism of equity, a Judaism beyond nationalism. We value these just ideals, so we could easily say: therefore, we practice a Judaism beyond borders, a Judaism of solidarity, a Judaism of nonviolence, a Judaism of spiritual freedom, a Judaism of equity, a Judaism beyond nationalism. We did teshuvah for the harms of border-obsessed Judaisms, insular Judaisms, violent Judaisms, coercive Judaisms, oppressive Judaisms, and nationalist Judaisms. We’re done now: we put justice on the agenda and only act justly. Anyone complaining of injustice in our ranks is wrong. The fear of that outcome weighs heavily on many of us. Are we destined to abandon our values, or, worse, to become some dystopian entity talking justice while perpetuating injustice? I don’t share this fear, and my reason is not because I optimistically see Tzedek as a utopia immune from injustice or a meritocracy of the most righteous folks in the Chicago area. I do not think we can adhere to our core values completely. We will miss the mark. Even behaving our best, we were socialized in systems of oppression which we cannot leave at the door because we wish. We are still unlearning Islamophobia, racism, sexism, transphobia, classism, ableism, heterosexism, Ashkenormativity, militarism, capitalism, and nationalist exceptionalism, to name a few. We cannot completely unlearn these biases. So we will be wrong; we know that. That’s the best possible news for us going into Yom Kippur. We are practiced at calling out harmful behavior. The Rev. Stacy Alan teaches that defining sin abstractly is impossible, but that we all get the concept of “messing up.” Tokheja, rebuke, is the prerequisite for meaningful teshuvah. Understanding our wrongs is the only way we can amend our behavior. We are also committed to becoming more just. As a new community, we are in danger of creating margins. Some people are in the center and some pushed to the edges. Tzedek, however, has another structure in mind. Brant asking me to speak tonight demonstrates this structure. No one would begrudge Brant speaking. We might learn something more interesting, and, we, most of all me, might prefer it. At Tzedek, we each have a say. How many Jewish communities are being addressed tonight by a young, less-than-able-bodied, Sephardic, transgender recovering addict who grew up in an interfaith household? In any other community I would be on the fringe, as I am also here. At Tzedek, Brant is on the fringe, too. We will function best if all at the margin, mimicking this garment, this tallit, evening wear traditionally only this night. 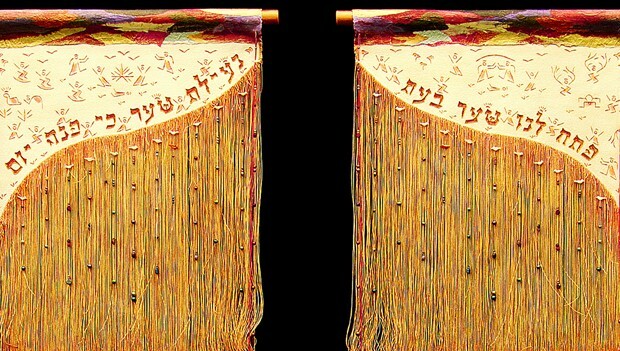 The tzitzit, the fringes, are the parts that remind us to engage in mitzvot. At Tzedek, we strive to live at the edge, on the fringe of the community. We are not creating an insular circle, but facing outward, like tzitzit. That way, we avoid a power and oppression dynamic, and we have enough of a marginal perspective that we can call out injustice within our walls. The edge here defines the center, not the reverse. A good structure means little without substance. We need not to only identify injustice but also work to correct it. We need to do our part. We need to take Yom Kippur seriously; we need to take the project of teshuvah seriously. Again, we face obstacles. Traditionally, the Yom Kippur liturgy dances between two problematic theologies of an authoritarian deity: one, a strict adherent of reward and punishment, and the other, a completely arbitrary megalomaniac. How can we reconcile our knowledge of justice with these concepts of the Divine? So we are doing liturgy differently at Tzedek. Tomorrow, we will not read from the passage in Leviticus which describes the ancient practice of transferring our sins onto goats and arbitrarily killing one and sending the other away. We know we cannot make teshuvah by putting our sins onto any scapegoat. Instead, we will read the passage in Genesis about Jacob’s reconciliation with Esau. With themes of generosity, transformation, and moving forward from wrongs done without revising or denying past harms, this text reflects the kind of teshuvah we wish to do. It provides hope for intractable conflicts to be resolved justly. We will read about a moment so transformative it turned Jacob from a conniving person into a gentle one. We want that for ourselves. Why is this Yom Kippur different from all other days? Because we can find an example of teshuvah in our text we wish to emulate. Many say we can’t do this. We can’t establish a Jewish community beyond borders or nationalism, and we certainly can’t change the liturgy or Torah reading for the day. After all, hasn’t it been that way for thousands of years? To them, and to those of us who might be wondering if we should hedge more, I offer this history. Amram Gaon, a 9th century Spanish sage, called the recitation of kol nidre a minhag shetut – a foolish custom. Why? Even though the prayer was already beloved, it encouraged problematic thinking that we can escape responsibility for transgressions with a contract rider on the Covenant. Amram Gaon knew sins don’t transfer to goats and a string of words doesn’t negate injustice we cause. Changing ritual to conform to Jewish values isn’t new. In tomorrow’s text, we identify with both twins. Jacob victimized Esau. He erred when he stole Esau’s birthright. But we root for Jacob in this reconciliation – not because of lineage but because we know a deep truth. God is the ally of those who seek forgiveness. The story makes us more inclined to forgive and to believe we can be forgiven. Because we are forgiven, for the record. The biggest spoiler in Jewish liturgy is vayomer Adonai salajti kidvarekha. God says I forgive you as I promised. But Jacob messed up. We get the guilt that lives in Jacob’s heart because it lives in ours. Even after we make amends or especially if we cannot, we need God’s help letting go. If our part is making teshuvah, the Lady Magnificent must forgive. Normally, we view Yom Kippur as an end to a process of reflection. This year, Yom Kippur is a beginning. We can use the day of prayer to take stock of our sins. What would we say about our behavior if we had a marginal perspective? What needs to change for us individually and collectively to help us decrease injustice in the coming year? How will we respond when we mess up? When others do? פתח לנו שער בעת נעילת שער כי פנה יום. היום יפנה השמשה יבוא ויפנה נבואה שעריך. Instead of reading it as a lament about the gates closing: Open the gate for us even though the gate is closing because a day turns. Today will pass, the sun will come and set, before it does, please let us enter the gates. Otherwise we’ll be stuck outside – guilty. Instead of reading it that way, let us read it as an exhortation to a Powerful Boss holed up in a gated estate. Ne’ilah is a sit-in, and this is our chant: Keep the gate open for us even at the imposed curfew time, when the day turns to night. We don’t care that today will pass, that the sun comes and goes, we will enter the gates! When the sun sets tomorrow, we need to occupy Heaven. This won’t require occupying the Luther Memorial Church, but it will require calling out God to make repentance and transformation Her foremost priority not only on Yom Kippur but every day. Our covenantal benefits are not enough. Guaranteed forgiveness on one day a year out of more than 300? That’s less than 1% of the time. We need a better contract. We need better working conditions for creating God’s justice on Earth. We need a more involved, more present, more compassionate boss! We need fewer arbitrary injustices. Life outcomes for teenage boys in Chicago depend on whether the boy is Black. In the West Bank, they depend on whether the boy is Palestinian. And how about less injustice? We didn’t meet our own expectations this year, but why didn’t God soften the hearts of the Pharaohs, free the captive, uplift the fallen? When Jacob wrestled with the man the night before reconciliation with Esau, he did not let the man go until the man gave him a blessing. Similarly, we can’t let God go until She accepts everyone’s teshuvah, which might be until some people are ready to change. So tomorrow night, let’s occupy Heaven. Strike that (pun intended)! The gates are open now. Let’s move in with our permission to pray with sinners, and let’s extend the opportunity for repentance until those with blood on their hands (literal or symbolic) repent. Let all who lost hope they can change, that those around them can change, enter the gates! Let all who are hungry for justice enter the gates! Let all who are thirsty for forgiveness enter the gates! We transgressors will keep them open until God grants the pardon She promised. Tzom kal. May your fast be physically easy and spiritually meaningful. This entry was posted in American Jewish Community, High Holidays, Religion, Spirituality, Tzedek Chicago, Yom Kippur on September 24, 2015 by Rabbi Brant Rosen. In my previous post, I explored the ways that Quakers and Jews have been historically connected and proposed a deeper spiritual connection between our respective faith traditions. 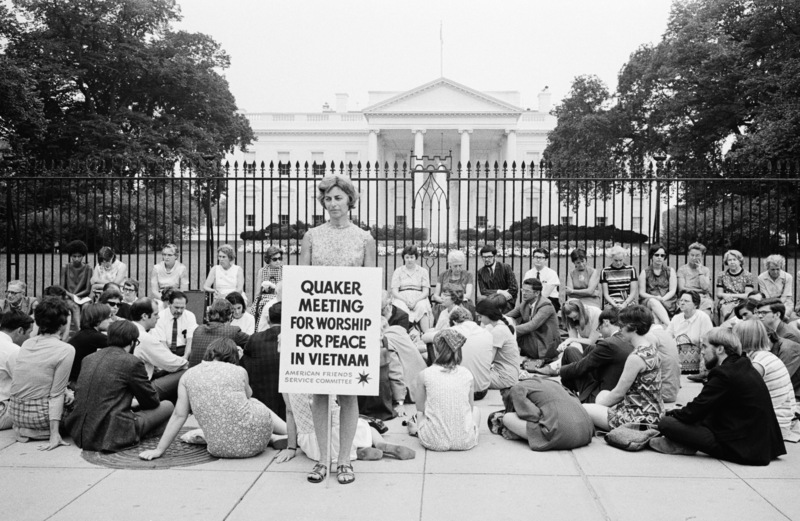 As a rabbi who now works for AFSC, I can say without hesitation that my spiritual life has greatly benefitted from my encounter with Quaker thought and practice. The more I dwell in these two religious communities, the more I am able to discern important parallels between them. I’ve found particularly fertile ground in my study of Quaker Testimonies, which have clear commonalities with Jewish spiritual values. Here, then, are some excerpts from the AFSC booklet, “An Introduction to Quaker Testimonies,” juxtaposed with parallel values from Jewish tradition. I present them with the hopes that such a consideration might point us toward a deeper place of Quaker-Jewish encounter, collaboration and solidarity. Friends oppose and refuse to engage in war and violence. In pursuit of lasting, sustainable peace, they seek to eliminate causes of violent conflict, such as poverty, exploitation and intolerance. For us, peace is not just ending war or violence, but nurturing the capacity of individuals, communities, and societies to sustain harmonious relationships based on mutual respect and caring for the welfare of all. We seek to reconcile enemies and serve the needs of all sides torn by violent strife. While Judaism contains a vast repository of positions on the subject of war and peace, it is certainly possible to discern a distinct tradition of Jewish pacifism. In fact, Judaism itself was born out of an act of non-violent cultural resistance, when in the wake of the destruction of the Second Temple, Rabbi Yochanan Ben Zakkai refused to join the ill-fated Jewish revolt against Rome and instead negotiated to establish a center of Jewish learning in Yavneh. Ben Zakkai’s courageous rejection of Jewish violence enabled Judaism to survive and grow as a global religious faith. Moreover, throughout Jewish history, Jewish pacifism has been promoted by important figures such as Rabbi Aaron Samuel Tamaret, Rabbi Judah Magnes, Rabbi Leonard Beerman, and Rabbi Everett Gendler, among many others. Friends hold that all people are equal in the eyes of God and have equal access to the “inner Light.” This profound sense of equality leads Friends to treat each person with respect, looking for “that of God” in everyone. AFSC supports the development of societies and structures that recognize the dignity of every person. We seek to work with all people in pursuit of justice – the economically impoverished and the materially comfortable, the disenfranchised and the powerful – inviting the Spirit to move among all these groups, making great change possible. Akiba’s approach is the more particularistic philosophy; according to him, Judaism is rooted in the idea that we should love those around us – our family, friends and community. Ben Azzai’s, citation, the other hand, holds that we should respect and honor all people whether we are in direct relationship with them or not. From this we learn that all people – regardless of religion, ethnicity, nationality, age, mental faculties, physical capabilities, etc. – are of intrinsic and inestimable value. In the AFSC community, we are committed to making our words, actions, and beliefs consistent. We “speak truth to power” – and to each other – even when it is difficult and our message may be unpopular. We deal honestly and fairly with colleagues and partners. We take responsibility for our actions and their results. We fulfill our commitments, and we give credit to others for their contributions. Derech Eretz is often understood to mean “common decency,” its essential meaning is even more fundamental. A classic Jewish saying teaches: “Derech Eretz precedes Torah” – suggesting that even before we engage deeply spiritual behaviors such as prayer or study, we must first ensure that we are living lives of fairness and integrity. For many of us, the march from Selma to Montgomery was both protest and prayer. Legs are not lips, and walking is not kneeling. And yet our legs uttered songs. Even without words, our march was worship. I felt my legs were praying. At AFSC, we nurture relationships and partner with communities, believing that, in gathering together, people increase their strength, vision, wisdom and creativity. We accompany and support communities in their efforts to seek justice and improve their own lives and circumstances. Where people are divided, we strive to build bridges, encourage trust, and create spaces for dialogue and cooperation. According to the Talmud, “When two or three people study Torah, God is present.” Not only does this teaching reinforce the central importance of study; it illuminates the sacred nature of relationship itself. Quite simply, God is most immediately present in fellowship. The personal and political implications of this idea are powerful indeed. In (AFSC)’s work, simplicity requires focusing our efforts on what is most important rather than diffusing our energies too broadly. In our personal lives, simplicity may mean limiting our consumerism – and resisting over-commitment, so that we have time to care for ourselves and to be present with one another. These words remind me in particular of the values of Musar – a Jewish ethical movement that arose in Eastern Europe in the 19th century and has undergone something of a contemporary popular revival in recent years. (At AFSC), we are attentive to conserving energy, recycling, and reducing waste. Concern for the ecosystem also leads us to strive to reduce our personal consumption and develop a simple yet adequate lifestyle. The importance of human stewardship over creation has deep roots in Jewish tradition. The very first chapter in the Torah makes it clear that the earth belongs to God and that humanity are its stewards. Judaism later expanded this idea to develop a host of commandments focused on the care of the earth and its creatures. When God created the first human beings, God led them around the Garden of Eden and said: “Look at my works! See how beautiful they are—how excellent! For your sake I created them all. See to it that you do not spoil and destroy My world; for if you do, there will be no one else to repair it. In this era of climate change and an ever-increasing reliance on fossil fuels, this sacred rejoinder has clear and obvious ramifications. Though the examples above merely scratch the surface of a larger Quaker-Jewish inquiry, I offer them here in the hopes that they might offer us a useful place to start. Indeed, as I think more deeply about these Quaker-Jewish points of spiritual connection, I can’t help but hope that such an investigation might eventually take us to a place beyond simple interfaith dialogue. Might this spiritual exploration have real movement-building implications for Jews and Quakers? I’m genuinely excited by the prospect. This entry was posted in American Friends Service Committee, Human Rights, Interfaith, Judaism, Nonviolence, Peace, Quakerism, Religion, Spirituality, War on February 5, 2015 by Rabbi Brant Rosen.